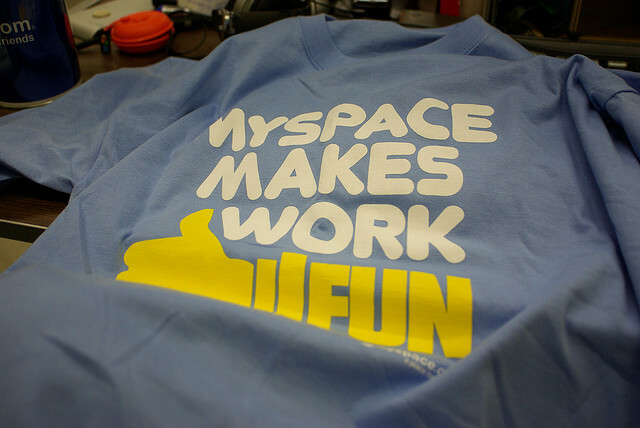 Once all-powerful social networking service MySpace is having a tough time of late; its users are leaving the website in droves, heading to Faceboook and Google’s new social networking service Google+, and the company was recently sold for $35 million. Some outlets, including Cnet, believe MySpace has been the target of a hack, with attackers changing the front page to a custom message of their own. In fact, it is a common error message page that MySpace has been using since at least 2009, which is displayed if there are errors on the website. The jovial nature of the message may lead some to believe it has been the victim of an attack, but a quick Google search returns hundreds of results for the same message, which also directs to a static error page hosted on MySpace’s servers. 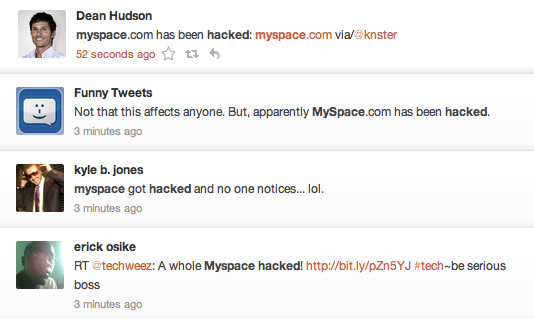 We have contacted MySpace for comment but we see no reason to be alarmed – the social network isn’t dead just yet.